NLC Recruitment 2017 2018 for 453 Fresher Apprenticeship Trainees in Fitter, Turner, Mechanic (Motor Vehicle), Electrician, Wireman, Welder Posts Apply Online. NLC Apprentice Jobs Notification 2017 Released. 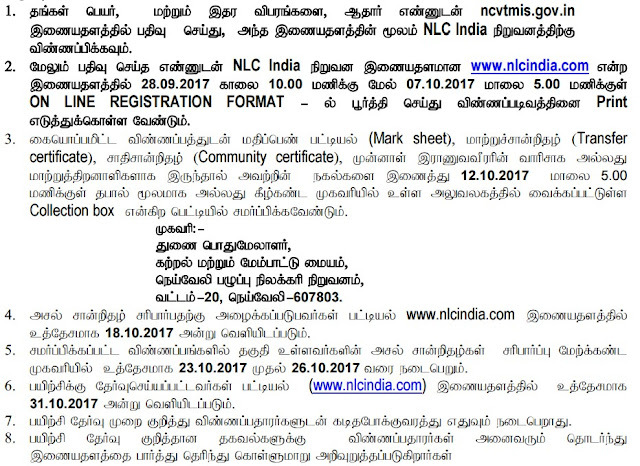 NLC invites on-line applications for appointment in following Apprentice post in Neyveli Lignite Corporation Ltd. 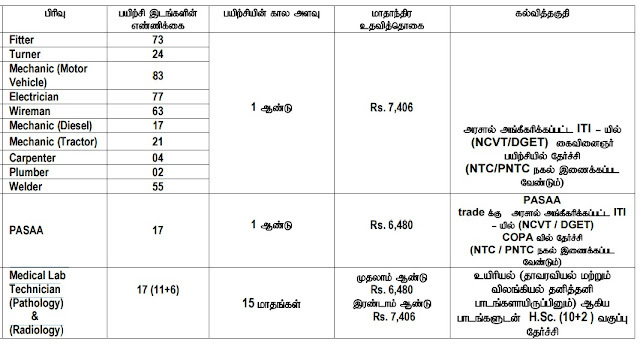 Candidates are requested to apply on-line through Official website www.nlcindia.com. The last date for submission of Online applications is 07.10.2017. Prospective candidates will have to apply before carefully reading the advertisement regarding the process of examinations and interview, eligibility criteria, Offline registration processes, payment of prescribed application fee/intimation charges, NLC pattern of examination, NLC Syllabus, NLC Question Paper, NLC Admit Date Release Date, NLC Exam Date, NLC Result Date etc. and ensure that they fulfil the stipulated criteria before Applying.